I’ve always been a huge fan of the word OK, and I was fascinated to read its history in Allan Metcalf’s book OK: The Improbable Story Of America’s Greatest Word. It first appeared in print on this date in 1839 (with the spelling “o.k.” and an explanatory note indicating that it was short for “all correct,” which is to say the slang spelling “oll korrect”), so OK is 180 years old today! 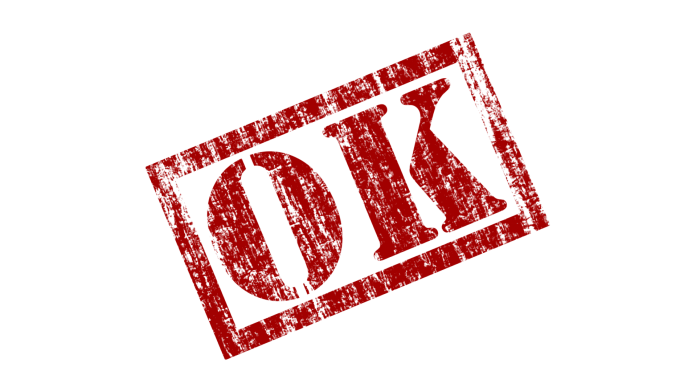 Yes, a lot of people have taken to spelling it “okay,” which is a pity because it breaks the word’s etymology, apart from being a waste of two letters that could undoubtedly be put to good use somewhere else. Today, in honor of this noble word’s heritage, just cut it out…OK?